How are you? I am ecstatic it's the end of the week! I've gradually been getting sleepier and sleepier, so I am glad the alarm clock is switched off for a couple of days. Just one more week to go and then I have a whole week off work - hurrah! Let's start with Morganite, the creamy one. This is a flecked polish, pale but warm. This is very similar in tone to OPI's infamous MVIB, but with subtle shimmer and flecking to make it more interesting if you are wearing it solo. We then have Rose Quartz, the glitter of the collection, which I have layered over Morganite. 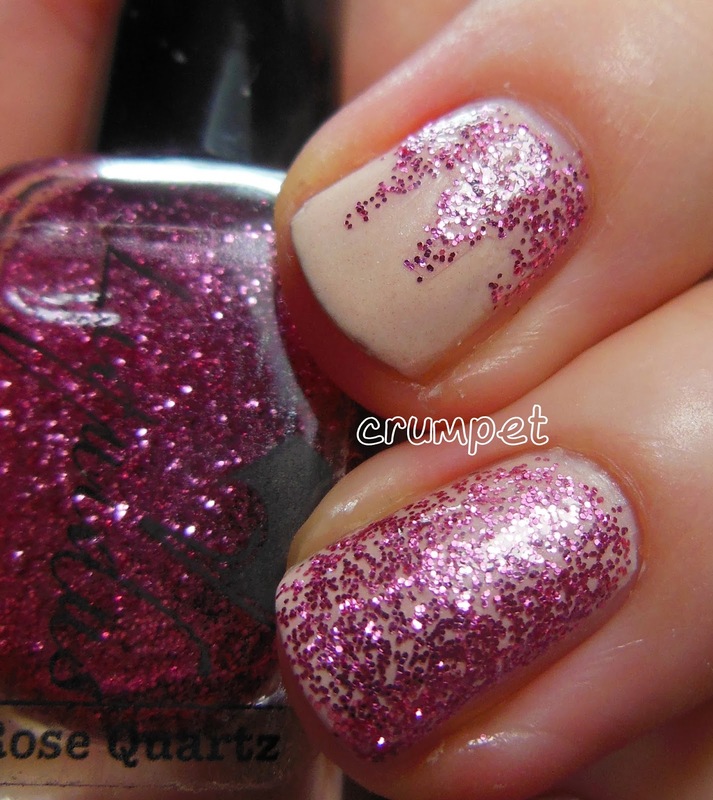 This is an itty bitty micro glitter (my nemesis), but I really love how these 2 colours play off other. The glitter was versatile too, and could be worn in a variety of effects. 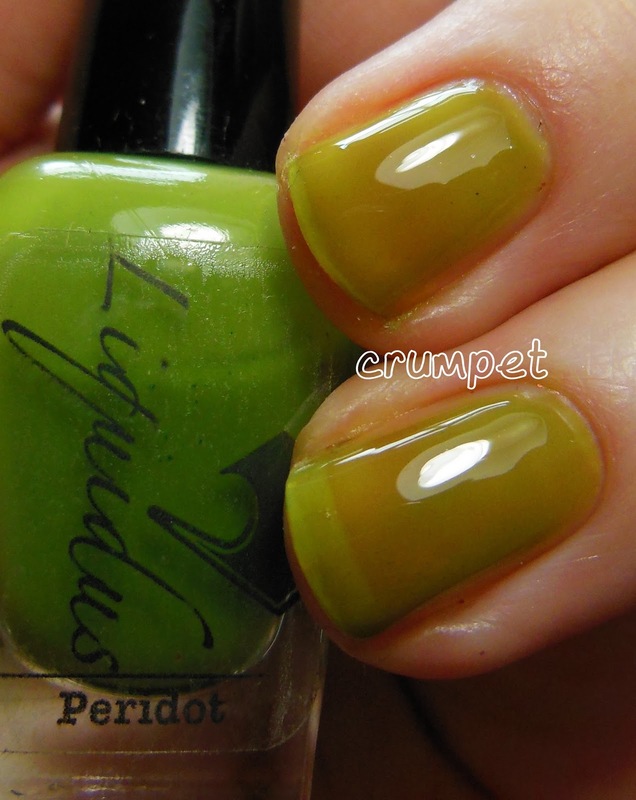 And then finally Peridot, my birthstone, a grungey green jelly. 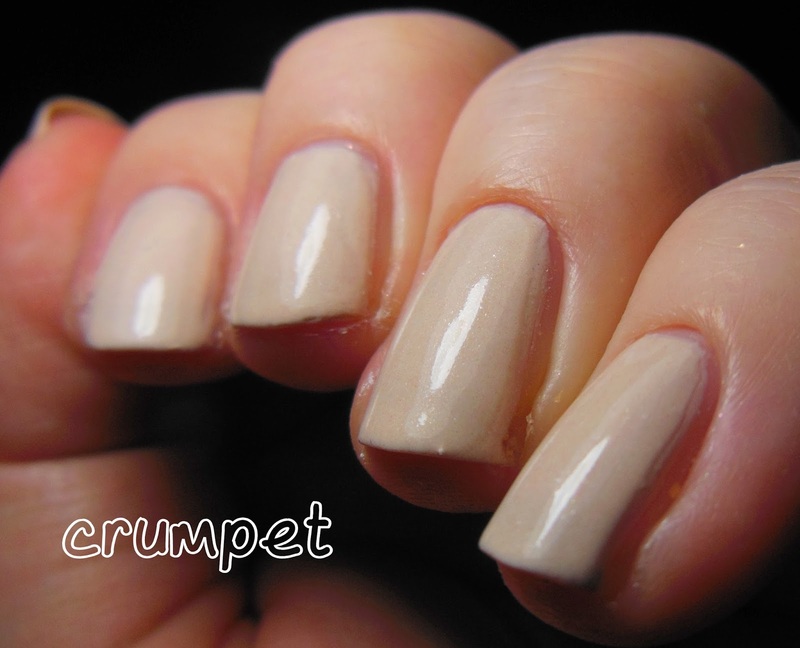 This is one of those classic fugly polishes that everyone should own. 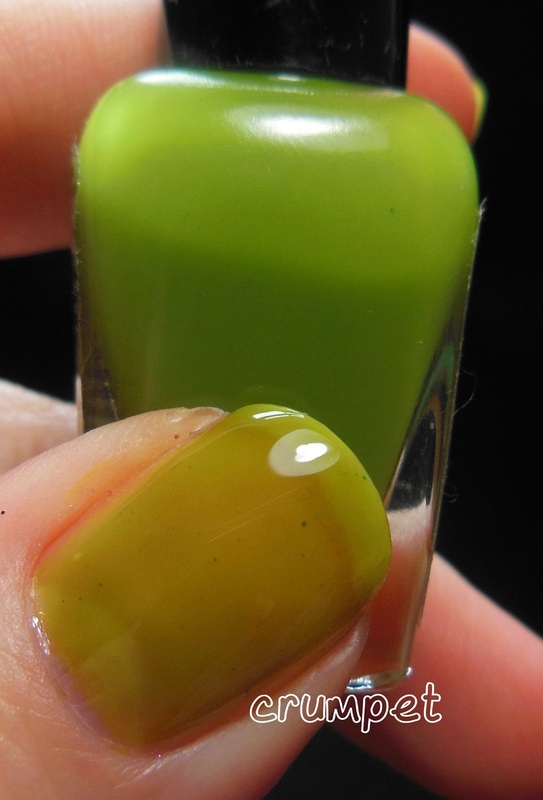 It's glassy and glossy and very pretty, but I used 4 coats here. Personally I am not a massive jelly fan because I hate VNL. I can't deny however that this is a stunning colour. So, tune back in over the weekend for my floral nail art. In the meantime, you can pick this trio up at the Liquidus Etsy shop HERE. These polishes were sent to me for my honest review.